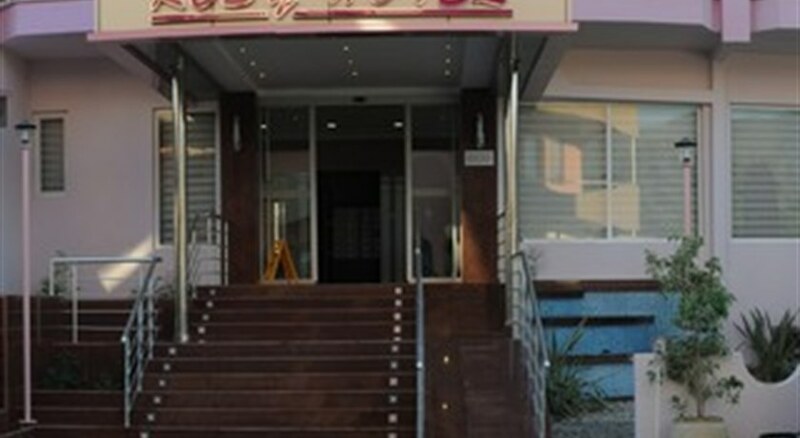 The Rosy Hotel is located close to the Blue Flag 'Ladies Beach' in this popular resort of Kusadasi. This is a great budget residence for students, tourists, and backpackers who want to be close to resort facilities with a wide range of shops and restaurants nearby and simple, clean accommodation with essential facilities. The Rosy family are warm and welcoming, and delighted to host your holiday. 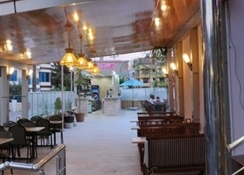 The adjacent ROSY Restaurant- Café-Bar provides a natural meeting place for friends. Adnan Menderes Airport is 65 km from the hotel. Getting to the hotel: You can book a transfer with us when you book your hotel. This region offers a variety of cultural and historical attractions and tours if you want to get out and about. Food, drink and entertainment: Bed and breakfast accommodation. Rosy Hotel guests have their breakfast at Rosy Restaurant in the morning and also they can use Rosy Suites swimming pool with sun loungers. 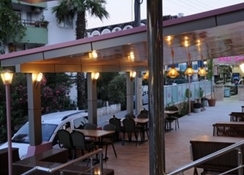 There are plenty of restaurants and local attractions near the hotel. Additional: 24-hour reception. Hotel guests will have the chance of Rosy Club Card membership. The Rosy Hotel features 9 rooms over 3 floors. Standard room amenities include a bathroom, shower, individual air conditioning, safe and a balcony.